Dahl Adaptive Gripper - Easy. Precise. Gripping. The accurate gap closure in your automation. Simply customized: The servo-electrical gripper for every job. Particularly for yours. Single steps of your production which do not fit in the basic schema of the entire automated process require flexible solutions for efficient integration. Unfortunately, often there seem to be no alternatives to human manpower regarding fine motor skills but also repetitive operations which are an ergonomic burden for employees. 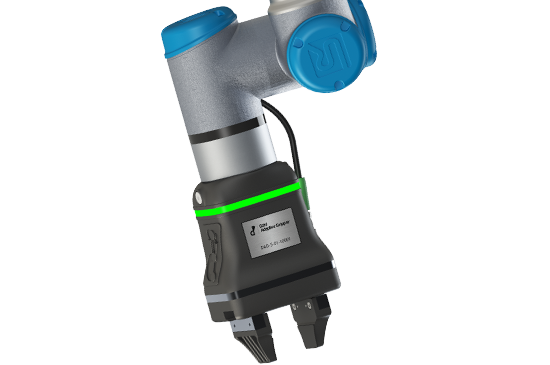 In order to fill these gaps in the sense of a company-wide automating, Roboformance now introduces the Dahl Adaptive Gripper and thereby presents a flexible standard component. With the introduction of the Dahl Adaptive Gripper DAG-M we rely on programmable parameters, customisable gripper fingers for positive external or internal gripping, an easily compatible interface to your robot as well as an intuitive installation and operation. Due to the applied additive manufacturing in our production process we can especially respond to customer wishes regarding gripper fingers and thus optionally ensure a solution which is individually tailored to your needs. Simply precise: The automation of your fine tuning. By use of the DAG-M. The compact servo-electrical gripper for your fine-tuning satisfies the user by its simple installation and operation, exact adaptability of position, speed and power for the upcoming assignments plus maximum precision. Exact automated gripping has never been easier! Based on our 2017 adaptive gripper studies the DAG-M in its collaborative design is the entry-level model of the Dahl Adaptive Grippers. After the premier at the exhibitions HannoverMesse by the end of April 2018 and automatica at München in June 2018 the all new Universal Robots+ product is available now. You are ready to go! Create the automating of ergonomically unhealthy work where human hands seemed to be the only way regarding fine motor skills for special sensitive handling requirements. 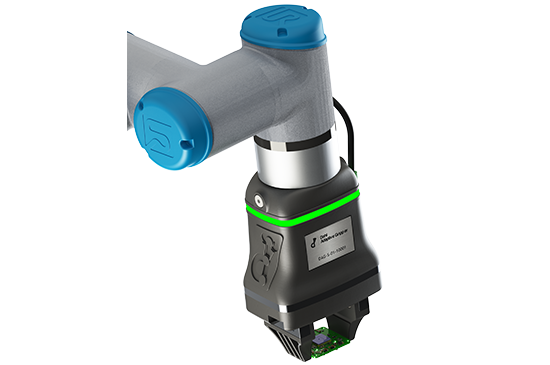 You will easily install the gripper with your cobot by Universal Robots and integrate it into your process thanks to the DAG-M software. Simply sensitive: The gripper for your precision work. Available now. 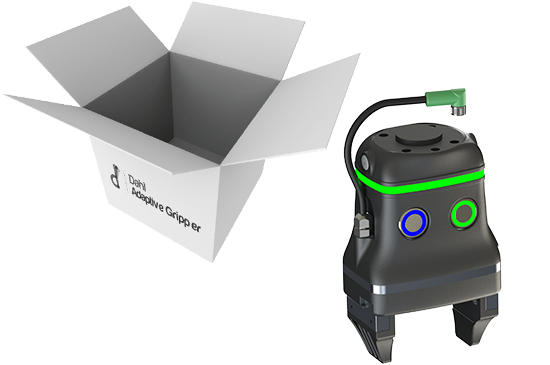 ​The Dahl Adaptive Gripper DAG-M is the compact, customisable gripper for the automation of manual workplaces for accurate and specially sensitive jobs. Designed and certified for simple use with all types of Universal Robots the DAG-M will perfectly perform doing your precision work, e. g. in metal processing or electrical industry. Its benefits are based upon the variable adjustment of several parameters such as power, stroke, speed and position. Thus the DAG-M will fit perfectly for your task. Apart from the standard fingers, which are flexibly replaceable, customised gripper fingers for exact external or internal gripping (even positive gripping) can be installed. Besides its exact adaptability for the assignments, the DAG-M satisfies the user by its simple plug & play installation and operation. 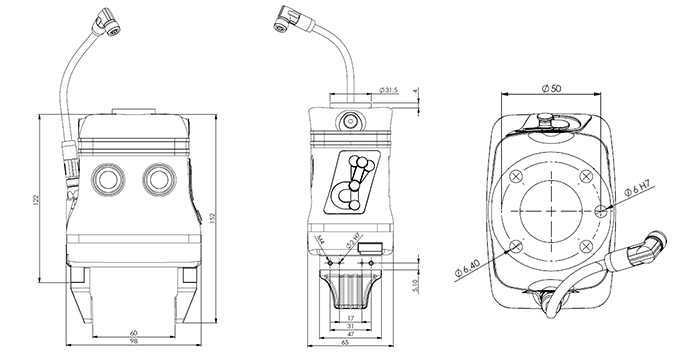 Designed as a UR+ product, the DAG-M is controlled directly on the Universal Robots user interface. Both gripper and robot control are stored in the same program. 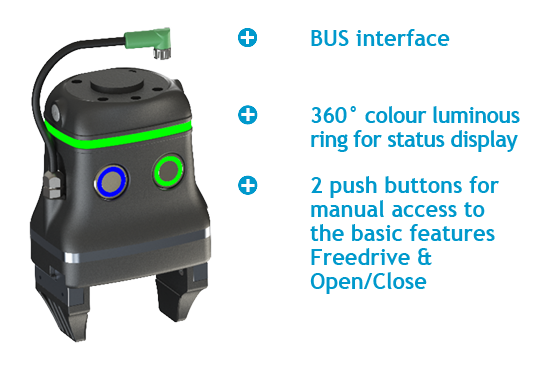 Two additional push buttons on the gripper enable manual access to the basic features Freedrive as well as Open/Close. A 360° colour luminous ring for visual status signals provides you with an accurate overview. 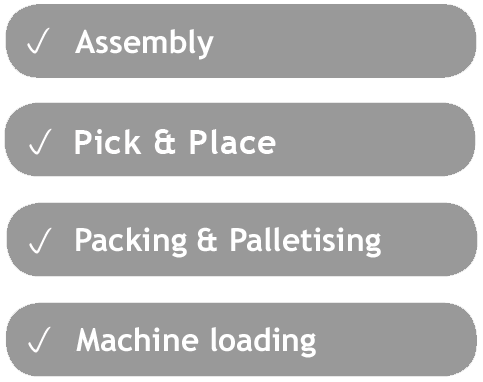 The customisable handling for your job. 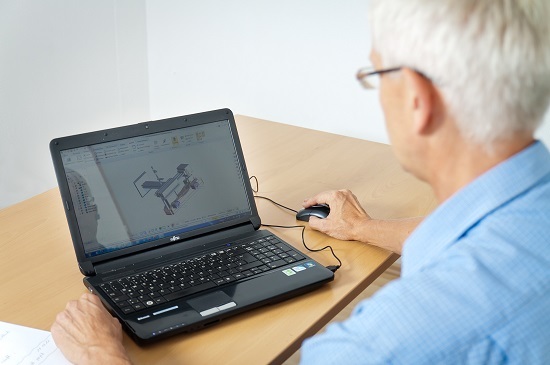 You have further questions regarding your automation with the Dahl Adaptive Gripper? Dahl Roboformance & Dahl Adaptive Gripper are brands of Dahl Automation GmbH, your system-wide automation partner. Do not hesitate to contact us for customised solutions from one source! Discover more about us and visit our homepage.